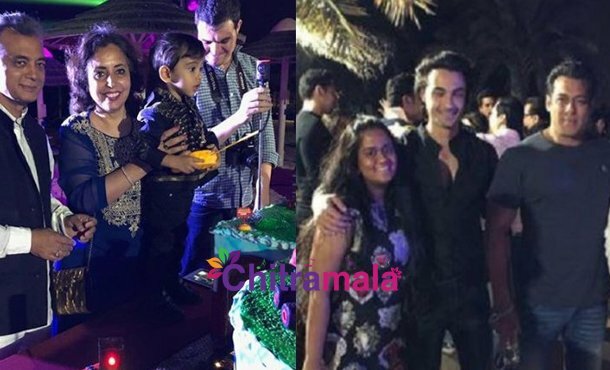 Salman Khan’s nephew Ahil turned two-years-old on March 30 and Salman partied hard with the toddler in Abu Dhabi. Salman Khan is currently filming Race 3 in Abu Dhabi, and Salman’s entire family joined him there to celebrate Ahil’s birthday. Salman Khan’s Race 3 team also partied with Sallu Bhai and his family. Ahil’s birthday cake was grander than anyone could have imagined. Then there was Salman Khan and Bobby Deol dancing to Diljit Dosanjh’s Do You Know and Arpita and Jacqueline recreating the hook step of Jumme Ki Raat.